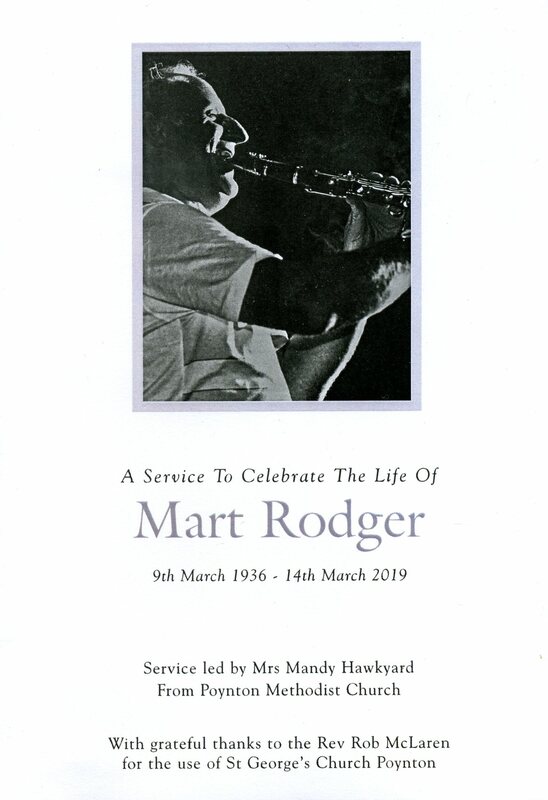 It is with deep sadness that we report the sudden loss of Mart Rodger. 14th of March after a short time in hospital. Mart lived life to the full and had a wonderful life. the country and across the world. 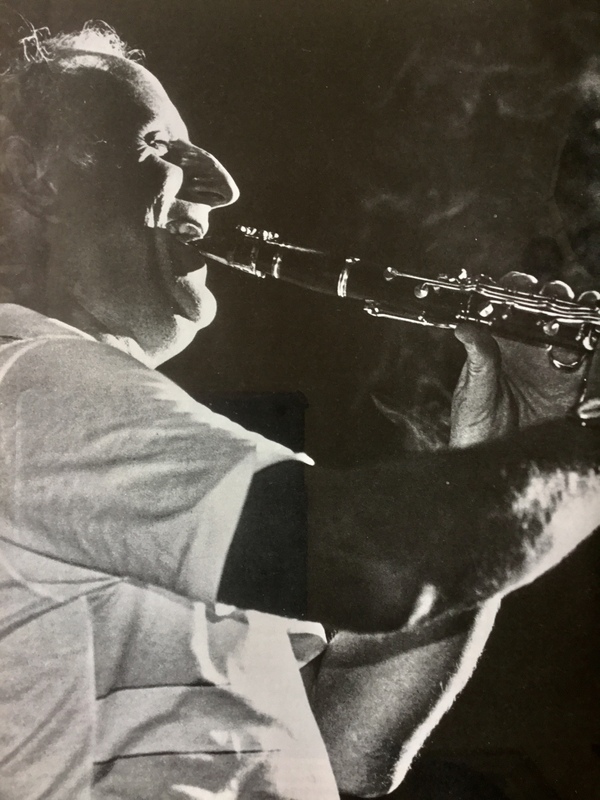 Mart doing what he loved best, performing great Jazz! Janet and the Family would like to express their thanks to the many people who have expressed their sorrow for our loss. Marts’ funeral was held at St Georges Church in Poynton on Friday 29th April, where several hundred Family and friends gathered to pay their respects to Marts’ memory. The congregation sang one of Marts’ favourite hymns, “How great Thou art” followed by psalm 23 read my one of Marts sons, Andrew. Family memories were shared with all by Marts Sons, Andrew, and Simon and Daughter Claire. 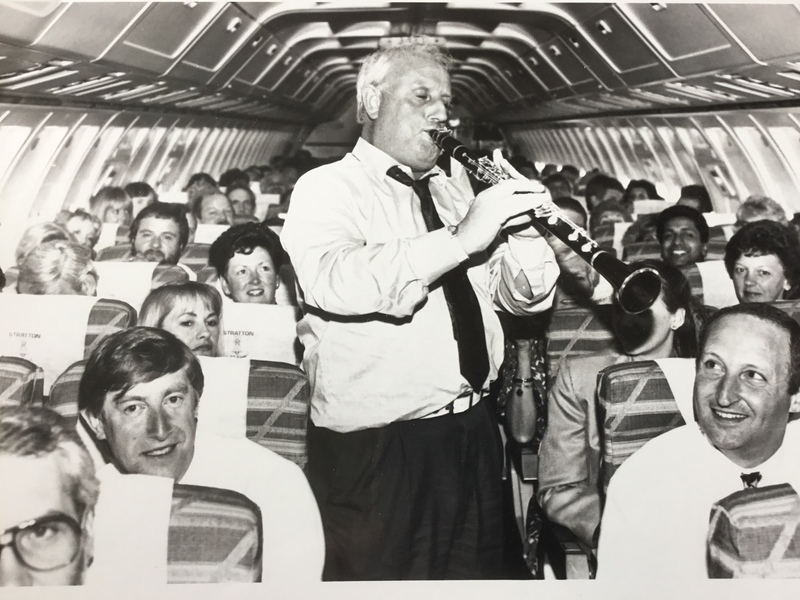 A recording of Mart Playing ” St Philip Street Breakdown” , taken from the AllMart Album was played, followed by Memories of Mart’s Jazz Family by Rev Allan Wilcox. Another of Marts’ favourite hymns, “Make me a channel of your peace”, was sung, by all, followed by memories of Mart’s Church Family by Mandy Hawkyard. A reading from the bible, John 14: 1-6 & 27 was made by Chris Hawkyard, and Thanksgiving prayers, were followed by our final Hymn, “What a friend we have in Jesus”. Following a family service at Stockport Crematorium, refreshments were serviced at Disley Golf Club. Because of the huge numbers of people in attendance, Janet and the family may not have had the opportunity to thank you personally on the day, but please be assured that your attendance was noticed and they are extremely grateful for both, your attendance and best wishes at this difficult time. Our special thanks go to Mandy Hawkyard for officiating and her kind words of comfort. Thanks to all who worked so hard to make the day a celebration of Marts life and achievements. Our thanks also for the many donations made in Marts memory, to St Luke’s Hospice, Winsford.